Another odd musing by yours truly. A few weeks back I was watching a program on TV that discussed “Earth-friendly” businesses, and one of them caught my interest. There is a landscaping company in North Carolina that specializes in clearing overgrown brush on large properties, especially on the slopes of hills and mountains. 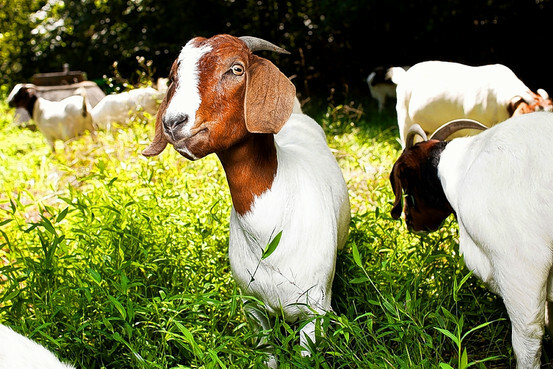 But instead of using laborers with large lawnmowers and other power tools, the man simply uses goats. These eating machines will chew through some of the thickest brush and thorny weeds without complaints. And while it does cost a little more to hire these eco-landscapers, there isn’t any noise pollution nor exhaust being pumped into your backyard while the brush removal is occurring. I mention the goats because, in the same week of seeing the program, I passed by a parking lot that was advertising yet another interesting business. This business, I think, would be a great partner for anyone hiring goats as landscapers. 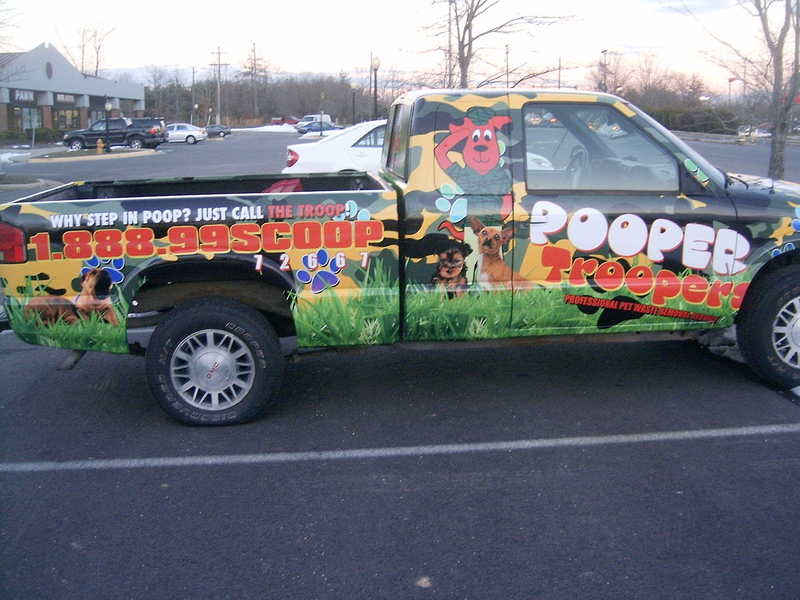 Called the Pooper Troopers, this company will come out and clean up waste left behind by pets. When you think about it, after a few hours of eating brush, goats will leave behind a lot of waste. As you can tell, I did not win the lotto two weeks ago. In fact, I didn’t even come close. Oh well, it’s a good thing that my online habits are pretty cheap. In fact, some of it is FREE! All the sites that I own and/or administer run on the WordPress platform. It is a very user-friendly system that allows even the most novice of users put together a professional-looking site. This is because of the thousands of WordPress themes out there that you can download and experiment with as many times as you like. This site alone has used over 20 themes in the short amount of time that I’ve owned it. If you are blogging on a budget, I recommend you use WordPress for all of the free themes available. With just a click of the mouse, you can turn your site from serious to whimsical and from industrial to artistic. The ease of adaptability makes WordPress the best platform available (and it’s free as well). On one of my other sites, I was using free WordPress themes to give the site the feel of reading popular online magazines. This allowed me to display a lot of headlines at once in a neat/organized manner. But as the site matured, I decided a more “formal” look was needed, so with a click of the mouse, the site took on more of a newspaper feel with the latest full-length article being displayed instead. If you want to customize the site to make it look less generic, many free WP themes come with special fields for you to augment the site as you desire. For example, this current theme allows me to change the photos you see when you first visit the site. However, if you come back in a few months, you might not see photos at all because I’ve switched themes again! Other themes allows the user to upload custom graphics to the headers, change the layout, and alter text styles and border colors. All you need to do is visit the numerous sites that provide you a listing of the free WordPress themes available so you can find a look and style that meets your needs. You’ll be surprised by what you find. It’s the new year … why don’t you give your site a new look? What would you do with $355 Million? Tonight’s Mega Millions jackpot has grown to $355 Million. Can you imagine being the lucky person who has the lone winning ticket? Even after you take out all the taxes from a lump sum payout (approximately $244 Million), you will still be sitting on over $160 Million in pocket. What would you do with all of that money? Depending on your chosen fiscal lifestyle, you can blow through all of the money within a decade or live forever just on the interest generated by placing the money into interest-bearing savings accounts. I tend to lean more towards the latter, so I would search out financial institutions that have the best savings rates. Doing a quick look at Bankrate.com, the average money market account interest rate is approximately 0.65%. Using that figure, $160 Million would return approximately $1 Million in interest over a one-year period. Taking out taxes, that leaves approximately $700,000 on hand. Housing: The natural temptation for many jackpot winners is to buy a new home or car. Looking just at housing, if I were to buy a new house, I would have to ask myself how much of a house I would want (or need). Since it would be hard to hide the new-found wealth over the long-term, I would want to buy a house somewhere within a private gated community. Surprisingly, you can find homes in the $300K – $500K range in some private communities depending on where you live. That easily fits within the $700K ceiling. Instead of paying for the house outright, I would lean more towards a 15-year mortgage and set aside $100K a year to cover the cost of the loan as well as any maintenance costs that might pop up over the year. Automobile: Honestly, I love my current car and have no reason to go out and buy a new one. Instead, I would simply pay off what remains on the loan and not worry about any future payments until I need to replace the car (within 5-10 years). Entertainment: How much money do I need to eat for a year? For me, it isn’t much. If I were to make a guess (based upon my current dining habits), $100/week is more than enough to cover my needs. That’s only $5200 for the year, or when compared to $700K, it’s a drop in the bucket. So, let’s assume that I start dining out more often as well as entertaining guests (either at home or out on the town). I could probably set aside $25,000 for food. Add in another $25,000 for places such as the movie theaters, concerts, and so on. Travel: One of the natural limitations to travel is money. Depending on where you are headed, a trip can cost anywhere from $100 to $3000 easily. I have plenty of friends not only in the US but also around the world that I would love to go see. Assuming I were to travel once every two months, I would probably need to set aside $20,000 for travel, just in case I make multiple trips overseas. Work: It is unlikely that I would quit my current job right away. However, there will come a time that I will part ways with me employer and branch out on my own. I have always wanted to start my own hobby shop, so I would need to identify how much it would cost and start up the store. Since I would not need a salary, it would be easier to make ends meet at first. I would probably set aside $200K during the first year as seed money while I work with a professional to cost out the business. Charity: Taking the above into account (approximately $500K), there is still be $200K remaining. This is more than I can imagine spending in one year. Considering that I have $160 Million sitting in accounts elsewhere, there are others that can benefit more from this money. Therefore, I would take $150K of the remaining funds and split it up between the Church and charities that serve those in need. You are currently browsing the MODU's Musings blog archives for January, 2011.